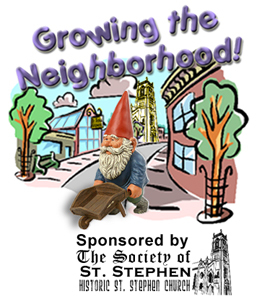 St. Stephen’s 7th Annual Plant Swap! Saturday, June 23rd 10am to 1pm. 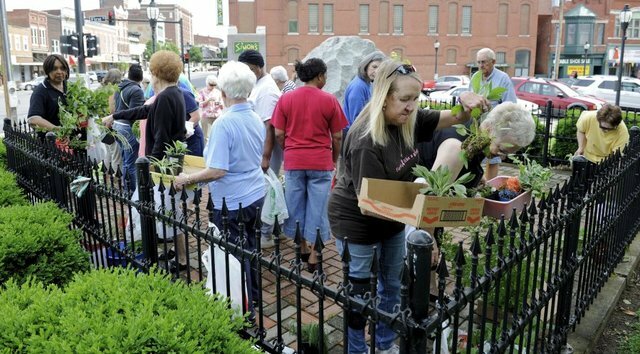 If you've never been to a plant exchange before, it's a lot of fun and a great chance to get to know your neighbors, fellow parishioners and to make new friends. You can ask people questions about their gardens or yours. And of course, it’s a great chance to bring home something new for your garden. Perhaps you’ll find that special something you’ve been wanting to try! By the way- the exchanging of plants and things is free! How an exchange works is very simple. People bring plants and things that are in good condition (garden/plant oriented- pots, books, tools) and get something else in return. Bring things around 10 to 10:30am. The exchange will start shortly after that. So, when you are doing your gardening this month and next, choose some plants that you need to divide or don’t want anymore, divide and dig them out, then bring them to St. Stephen’s on Saturday, June 23rd. Please label plants if you can with the name, color, mature size, sun/shade, etc. You can bring plants in just about any containers. If you use a cardboard box, please line or put the box in a heavy duty trash bag. People have used extra pots, plastic ice cream pails, large yogurt containers and the like. No one is fussy about it! If you can't bring something, you are welcome to come anyway. There usually are some extra plants and things seeking homes! 2013 Grow Plants Little Ones! is a project undertaken by the Society of St. Stephen. This project involves the repair of our parish greenhouse and the use of it to educate and involve students of Metro Catholic School, Cub Scout Pack 109, area youth and local urban gardeners in a variety of plant propagation activities. In addition to this, there will be monthly children’s programs and evening lectures focusing on garden related topics. These will be free and open to the public. Watch for more information about these programs in upcoming bulletins.